The Formule 2000 Range represents yet another step towards increased modularity. 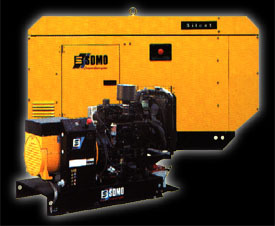 Using a basic generating set (compact-manually operated) and various standard option packs that can be added on to every set in the range, customers can produce soundproofed or automatic generators without any need for modification. A carrefully-designed policy of stock management has greatly improved the avaibility and competitiveness of all these versions.